A new megacity arises every 16 months. The United Nations defines them as areas with over ten million inhabitants. They are a phenomenon of the globalized world, and are chiefly rising up in emerging markets, where 24 of the world’s current 31 megacities can be found. This trend confronts our world with one of the biggest challenges of the century. Cities are already responsible for about 80 percent of all greenhouse gas emissions. The battle against climate change will therefore be decided in the cities. That can only succeed if the building infrastructure – its communications, mobility and energy systems – is climate-neutral. Every year, about 15 billion metric tons of sand is quarried for use in new construction projects – far more than can be replenished naturally. That is leading to unprecedented overexploitation. Sand and cement are the key materials for manufacturing dry-mix mortars. At the same time, cement production causes high CO2 emissions. One metric ton of cement releases up to a metric ton of greenhouse gas. About 40 percent of that can be attributed to the energy consumed in this high-temperature process; about 60 percent is a byproduct of the chemical conversion of limestone and cement. With its products, WACKER is working toward promoting climate-friendly construction techniques all over the world. One example is reducing the amount of sand and cement they consume. WACKER binders make modern thin-bed technology possible, which saves up to 80 percent sand and cement compared to the traditional thick-bed technique. This reduces not only material consumption at the construction site, but also time and costs. We also offer sustainable solutions for other important application fields. In summer, concrete and asphalt cause cities to heat up severely, resulting in heavy rainfall that continually pushes sewer systems to their limits. The optimum solution to this is pervious concrete. It is coarse-grained and contains many cavities, allowing rainwater to drain away more easily, reducing the occurrence of puddles or accumulated water. The ETONIS® concrete admixture developed by WACKER can be used to produce a new generation of high-performance pervious concrete. 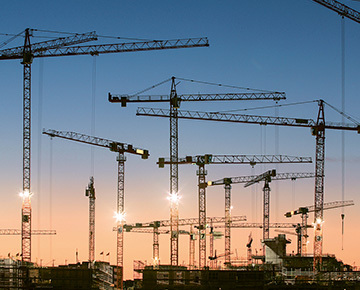 With our products, we are helping to build the cities of the future. For new urban concepts, such as the “sponge cities” in China, which soak up rain and wastewater, highly efficient products such as our binders play an important role. In the coming years, China will modify around 80 percent of its urban areas to absorb and reuse over two thirds of rainwater. Better use of rain and wastewater requires efficient sewers, pipes and tanks. In mineral waterproofing membranes, VINNAPAS® binders provide the sealing materials with the necessary strength, adhesion and flexibility. A two-to-three-millimeter layer is already enough to achieve effective waterproofing. There is also huge potential for reducing the energy consumption of existing structures through energy-focused building refurbishment. According to a current study by the European Union, buildings could achieve a neutral carbon footprint if 97 percent of all buildings were refurbished along energy lines. With its VINNAPAS® products, WACKER can make a considerable contribution to meeting this goal. Adding 2 to 3 percent mortar is enough to bond insulating systems and masonry securely and firmly. At major urban construction sites, the passersby usually don’t see much of the construction work at all. Their view is blocked by huge banners and billboards, intended to draw attention to the client. These outsized texts and images are increasingly being produced using digital printing. Along with 3D printing, digital printing has become the second biggest innovation field in recent years. Over the next five years, experts predict annual growth of about 13 percent on average for digital printing for packaging and advertising. Digital printing offers a whole range of advantages: since a rigid printing plate is not needed to apply the ink, and no time is required to set up the printing machine, even small or last-minute orders can be processed quickly and easily. Three-dimensional objects can be printed as well as two-dimensional billboards, leaflets and advertising banners. VINNOL® binders enhance the brilliance of digital color printing. Special binders are necessary to bond printing inks firmly to flexible surfaces, defy wind and rain, and retain their brilliance. 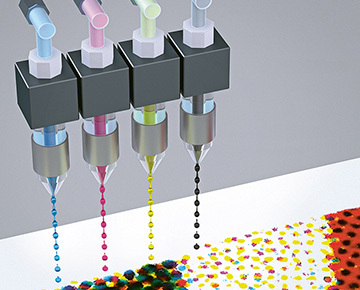 A bright, pin-sharp image requires a high resolution, since the ink droplets must be very small and finely distributed. However, the smaller they become, the less viscous the printing ink needs to be – but at the same time the pigment particles are all the more likely to clump together and block the printing nozzle. WACKER has developed new binders under its VINNOL® trademark, which help to strike a balance between these two contradictory needs. The binders also satisfy the strict legal requirements for food contact, for example those of the US Food and Drug Administration. These binders can be used not only for large-area advertising banners and billboards, but also for food packaging – another big growth market. Seven of the ten most heavily populated countries are in Asia. No wonder, then, that demand for high-quality construction materials is growing at a huge rate there. With production facilities in China and South Korea, we already have a local presence at our customers’ sites and in growth markets, and are strategically expanding this lead. We are currently building a new spray dryer for dispersible polymer powders with a total capacity of 80,000 metric tons per year at our Ulsan site. We are also building another reactor for VAE dispersions. This will double our VAE capacity in South Korea, and create a plant complex that will be one of the biggest of its kind in the world. This reactor represents an investment of about €60 million. When the expansion in South Korea is completed, WACKER will have achieved a new record: we will have reached a global capacity of one million metric tons of VAE produced on three continents. WACKER is the only company in the world with world-class production sites for dispersible polymer powder and dispersions in Europe, the Americas and Asia. This twin-track approach is a key to our success. In recent years, WACKER has continually modernized and expanded its plants, and made them fit for the future. In the five years from 2015 to 2019, we will have created a total of 500,000 metric tons of new capacity for polymer binders. In this way, with our investments in state-of-the-art systems and processes, advanced infrastructure and networked transport and logistics strategies, we have created a unique integrated production system. in only one year. That is the figure that the analytics unit at our corporate R&D presented when it calculated how much work it had performed on behalf of the WACKER POLYMERS division in 2017 alone. After all, we work continually on improving the quality and range of our products. And our success proves us right: today, we have an extensive technology platform of polymer binders for a wide variety of industries. They provide adhesives, paints, mortars, carpets, nonwovens and many other products with exactly the properties they need. To sum up: WACKER binders are a key component that make many of our customers’ innovations possible – now and in the future. are in the pipeline. When developing products and processes, and enhancing its own business, WACKER POLYMERS adopts an approach that is all about discovering what is new. This openness to what is new is a key building block for the future success of WACKER POLYMERS. We are currently working on 50 innovation projects, about half of which are aimed at improving products that are already successful. A quarter of the projects concentrate on the development of new products, and on process and productivity innovations in production.